Grace Fellowship exists to bring glory to God through lives transformed by the Gospel of Jesus Christ. We are God-centered; we exist to bring glory to God. This is the chief aim and purpose of humanity and of all creation. The glory of God is ultimate. The scriptures share the wonderful news that God is glorified through the Gospel of Jesus and the resulting changed lives. Life change is both an event (salvation) and a process (sanctification). Both salvation and sanctification are evidences of God’s grace in our lives and are appropriated by faith. When we use the word Gospel, we mean the historic Gospel of Jesus Christ crucified and resurrected. This Gospel is more than a collection of facts to be believed. It is also the good and true story that Jesus died and rose to defeat sin, death and evil in order to make all things new. As the only person capable of such an act, Jesus is the rightful Lord over every square inch of the universe. This “Jesus is Lord” Gospel compels us to be a community that lives redemptively in all aspects of life. As followers of Jesus, we have come to realize that we are far more broken than we really comprehend, but in Christ we are more accepted than we could ever imagine. Although we fail in following Jesus, we are confident that his redeeming grace is sufficient for our failures and strong for our successes. Grace Fellowship is part of this grand, historic Christianity which seeks the good of the whole person, city, and the glory of God. It is the Gospel that moves us to love and worship God (1 John 4:19), to extend grace and love to others, and it is the Gospel that moves us to make disciples in obedience to the mission Jesus has given us. We are formed as a new community by the gospel and this community has as its purpose taking this gospel message forward. Worshiping God is first about valuing, loving, and treasuring God above all others. It is saying with the Psalmist, “Whom have I in heaven but you, and there is nothing on earth that I desire besides you. My flesh and my heart may fail, but God is the strength of my heart and my portion forever (Psalm 73:25-26).” It’s through our deep desire for God that worship spills over into our lives and becomes living in joyful, sacrificial obedience to God (Romans 12:1). God can only be known and loved and worshipped in and through Jesus Christ in the power of the Holy Spirit (John 4:24; 14:6; 2 Cor. 4:6). It is Jesus alone who can save us from worshipping ourselves to the worship of God. The Church is primarily a people not a place or an event. In Christ we are reconciled to God and to one another as a “new humanity.” We are formed and guided by the Spirit and the Scriptures to be a counter-cultural community that participates fully in one another’s lives through giving and receiving, serving and being served, loving and being loved. As God’s people, we show the world what life under Jesus’ gracious reign looks like and serve as a foretaste of the coming Kingdom. We love God and others by making disciples (worshippers) who find joy and rest and satisfaction in Jesus. 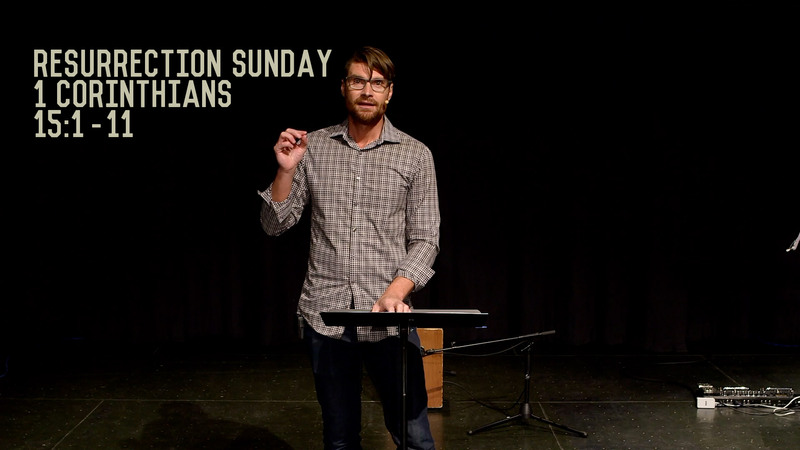 We are the missional community of God, called to reflect the missional heart of God. As His people, we are gifted and empowered by His Spirit and sent together into the world to join with God in His mission to renew this world with the Gospel. Because Jesus is worthy, we work to reorient our lives around Him. Although God is sovereign and does not need our help, it is our blessing and a lifeline of spiritual health to be on mission with Him and to love others as He does. By being on mission with Christ, we work to redeem people from worshiping themselves to worshiping Jesus. We share the Gospel in both word and deed seeking to touch the spiritual and physical needs of others in our city and world with the message and mercy of Jesus Christ by demonstrating compassion, working for justice, and participating in a church planting movement that will establish Gospel-centered churches.